The first Epcot Festival of 2019 has officially begun! Today kicks off the third annual Epcot Festival of the Arts! 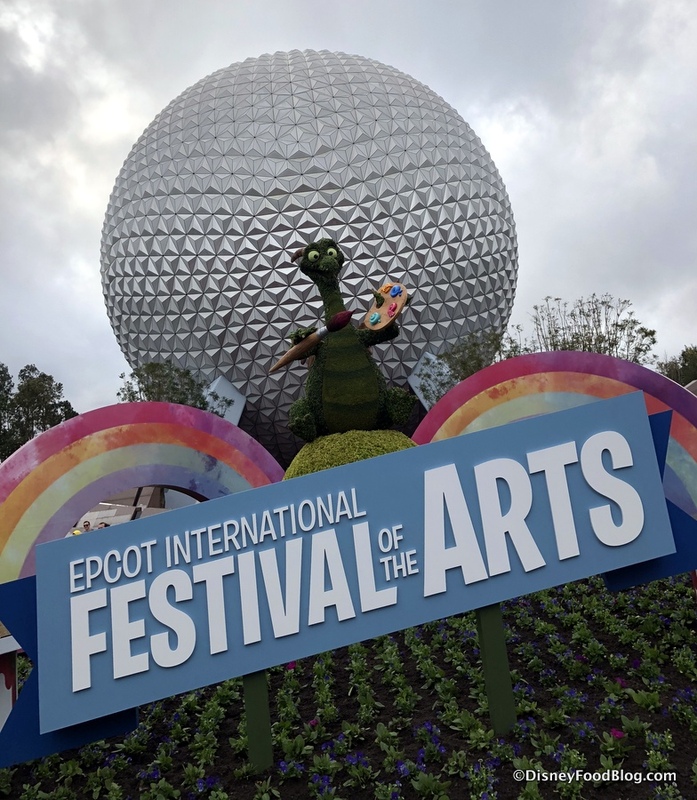 Today through February 25, 2019, three artistic disciplines — Visual, Performance, and Culinary — will be celebrated in special art exhibits, participatory activities and photo ops for guests, complimentary seminars and extra-ticketed interactive workshops, and performances including the Disney on Broadway Concert Series. Today, we’re focusing — naturally! — on the Culinary Arts! You can find these at Food Studios around the World Showcase, which, like the Marketplace Booths for the Food and Wine Festival, bring new tapas sized dishes and unique drinks to the park. Additional items are also added to permanent locations in Epcot. Visit our Food Studios Page to see pics of EVERY DISH at the Festival of the Arts! Here are our favorite food and drinks from the day! 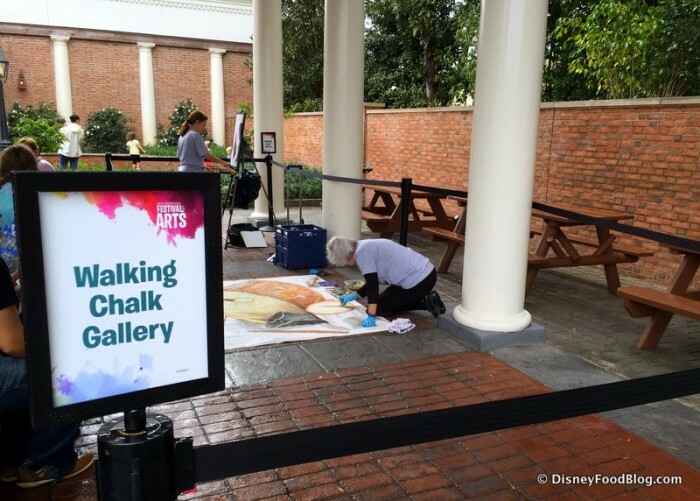 MORE 2019 Epcot Festival of the Arts News! Select Food Studios and Menu Items Confirmed! Earlier this morning, we brought you details about the Disney on Broadway Concert Series and Dining Packages for the 2019 Epcot Festival of the Arts, which will run from January 18 – February 25, 2019. And now, we have even more news about the event… and it’s our favorite kind: FOOD news! Yes, we are getting ready to head to the Epcot International Festival of the Holidays this coming Sunday. 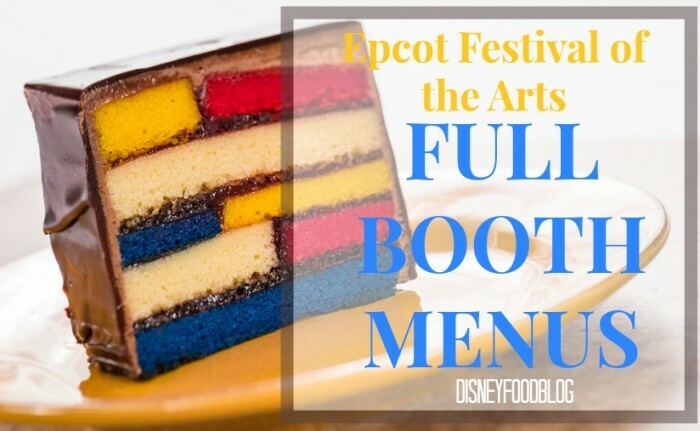 But that doesn’t mean there isn’t plenty of other Festival news to go around… because menus are up for the Food Studios coming to the 2018 Epcot International Festival of the Arts, running from January 12 through February 19, 2018! Just like the Festival’s inaugural year in 2017, three artistic disciplines will be celebrated: Culinary, Visual, and Performing Arts. We’ve just wrapped up our first visit to the inaugural Festival of the Arts in Epcot! And we can promise you one thing — It will NOT be our last. This celebration of the Arts — with a focus on the disciplines of Culinary, Visual, and Performing Arts — will take place Fridays through Mondays from now until February 20th. 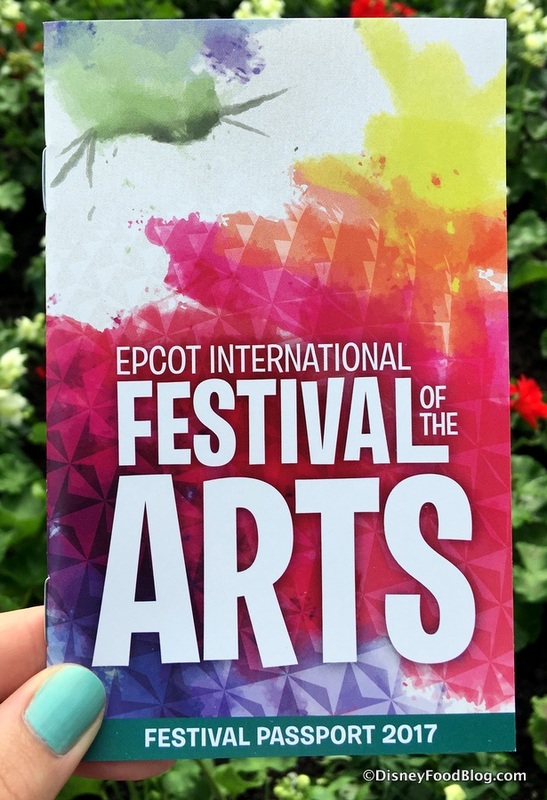 This brand new festival offers guests opportunities to SEE works of art on display at exhibits and galleries featuring works by Disney artists, HEAR live music performed by local high schools and universities as well as Broadway talent, and TASTE dishes and drinks at the Festival’s Food Studios! We spent opening day at the Festival and we were bowled over by the experience. 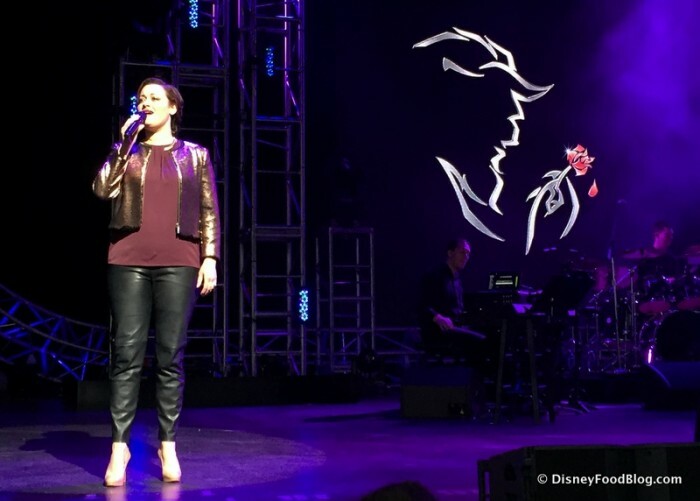 While DFB was there primarily to explore the food, we also enjoyed the many other examples of artistic talent, ranging from spontaneous displays of sidewalk chalk art, to an incredible musical performance by Disney on Broadway actors and singers Ashley Brown and Josh Strickland. We’re getting ready for this brand new Festival to kick off Friday, January 13th. This celebration of the arts — focusing on Visual, Culinary, and Performing Arts — will run Fridays through Mondays for six weekends, ending on February 20th. And now, as the debut rapidly approaches, we’re taking a look at the aspect we at the DFB are most interested in: Food Studios (otherwise known as Booths) will be found around World Showcase, both along the Promenade and tucked near a few Pavilions. 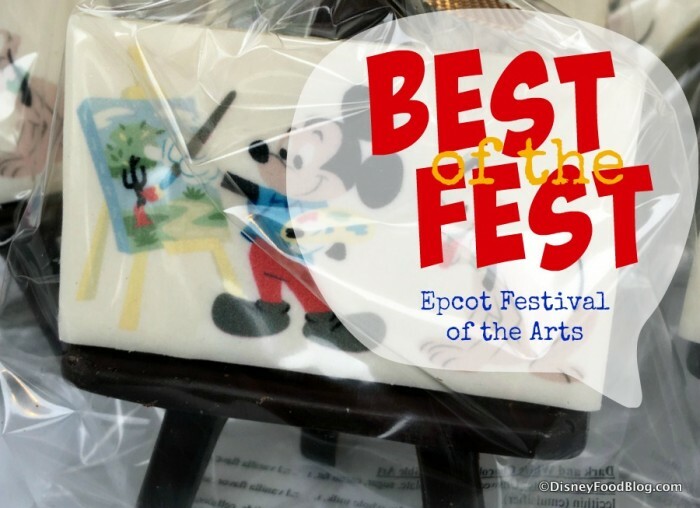 While you can link to our main Epcot Festival of the Arts page here to see the full menus for all seven of the Food Studios, we thought we’d show you a few of the items we’re most excited to try, so you can start making your own list, too! 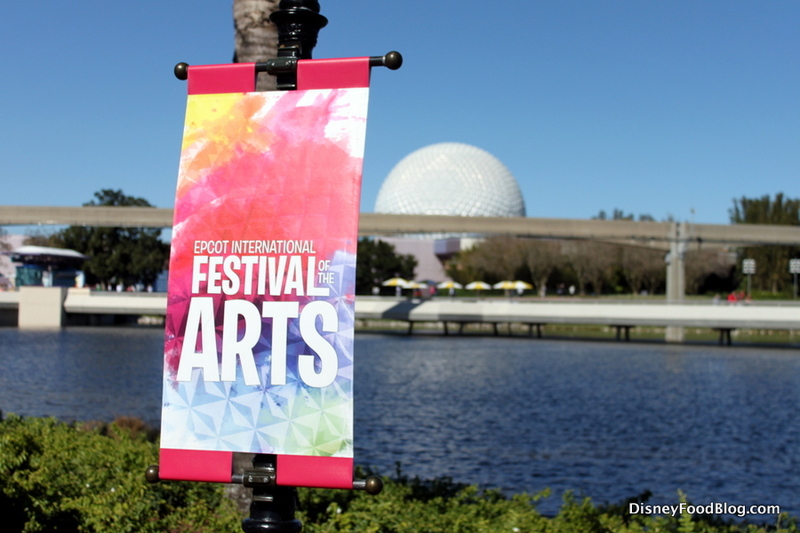 Click here to see FULL MENUS for each Epcot Festival of the Arts booth!! 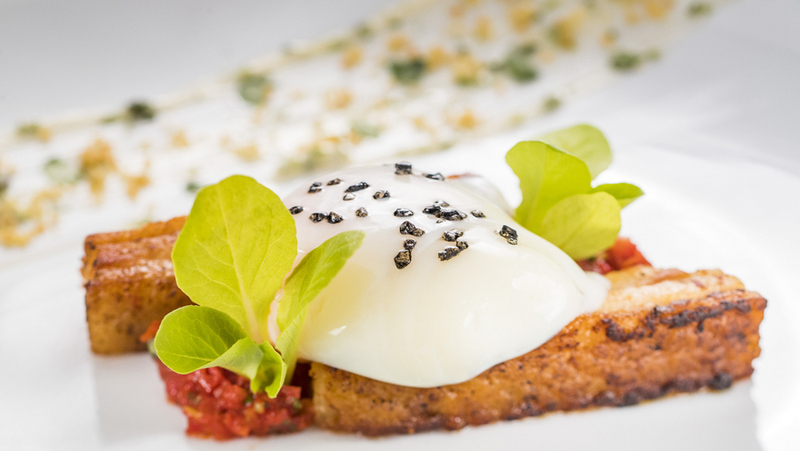 E=AT² will feature an array of “deconstructed” items, from a Reuben and a Deconstructed Breakfast to a BLT with crispy pork belly, tomato jam, and soft poached egg.